PenAgain Twist 'N Write Pencil is specially designed to fit smaller hands and make writing easier. The thick 2mm pencil lead never needs sharpening. 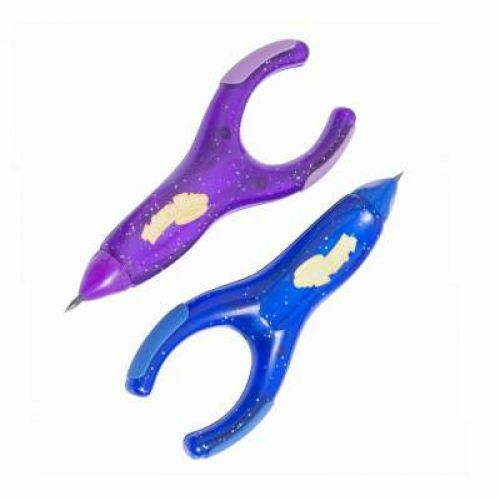 Just twist the tip to expose more lead. 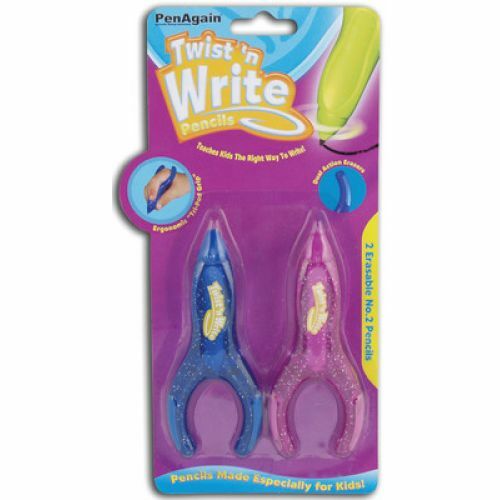 Kids get excited about the Twist 'N Write because it puts the fun back into writing. 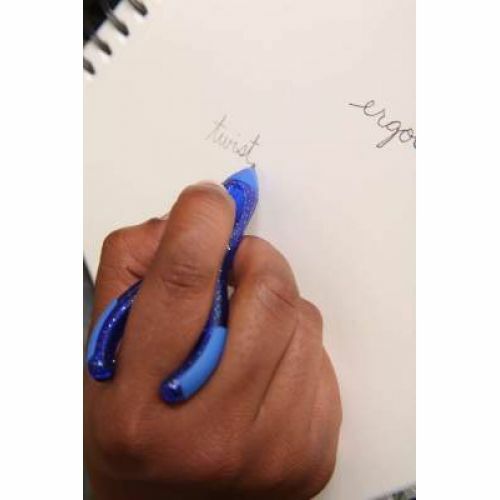 The pen's wishbone shaped body naturally shapes the fingers into the school-taught " tripod" finger grasp. Whether your kids are doodling or practicing longhand, the soft rubber body and curvy shape are built for comfort. What Harry Potter books did to get kids reading again, Twist 'N Write will do to get them back to the joy of writing and help them focus on their content without worrying about their pencil grip or their writing speed. The Twist 'N Write2-pack has purple and blue pencils.